Voters in California’s 49th Congressional District who went to the polls Tuesday said they were highly aware of the unique opportunity they’d been given to not only help flip the U.S. House for Democrats but send a message to the president and the lawmakers who support him. Coastal contests in California are often foregone conclusions. But dozens of voters in California’s 49th Congressional District who went to North County polls Tuesday said they were highly aware of the unique opportunity they’d been given to not only help flip the U.S. House for Democrats but send a message to the president and the lawmakers who support him. Herman said voting for Mike Levin over Republican Rep. Darrell Issa’s preferred successor, Diane Harkey, was an easy choice, but he stressed that the Democratic Party — his party — hasn’t done enough to protect Latino communities. He also said he regretted that the GOP was becoming the dominant voice of poor people, especially in rural communities, with fear-mongering and racist appeals. Look no further than the neighboring 50th Congressional District, Herman said, where Rep. Duncan Hunter has portrayed his opponent of Mexican and Palestinian descent as a would-be traitor. Still, Hunter is likely to win. The 49th Congressional District, which stretches from Orange County to Del Mar and hugs the Pacific Ocean, is one of several traditionally conservative districts in Southern California that is expected to elect a Democrat and return control of the House to liberals after four years. Issa himself predicted as much Tuesday. 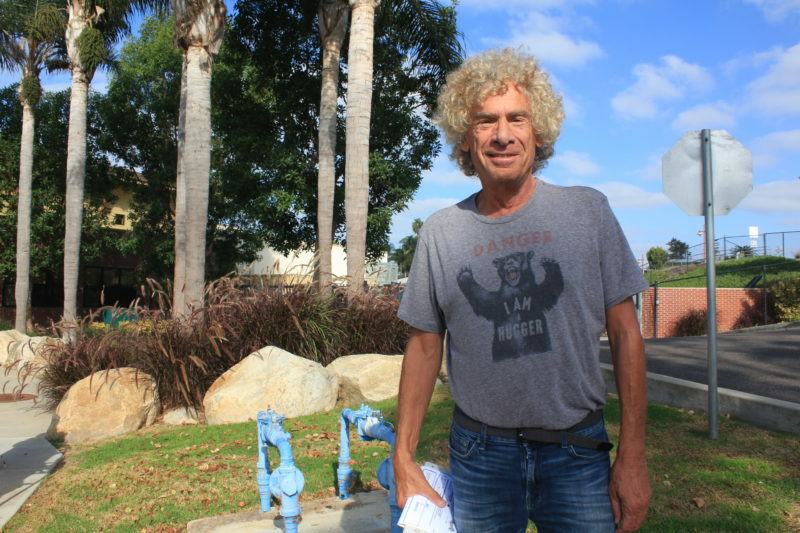 “It would send a message to Trump, he better watch out,” said Dale Kerper, another Encinitas resident. He, too, is a Democrat, but he said he votes across the aisle on occasion. This time around, he went for Levin with the hope of forcing the president to dial back the rhetoric on immigration. Kerper also believes, he said, in checks and balances and the distribution of power, so that one side doesn’t get carried away. “When you have absolute power in the hands of one party in Congress, you’ll start to become a banana republic,” he said. Nearly every Democrat I talked to said gun control was among the handful of issues that brought them out. “There’s no reason for anyone to have a weapon of war in their hands,” said Juliette Williams, as she gently rocked a stroller back and forth. She has health insurance, she said, but she was also concerned about attempts by Republican lawmakers to dismantle the Affordable Care Act. Throughout the morning, several independent voters told me they would normally dig deep into their voter guides and weigh the positions of various candidates, but this election was different. Speaking outside a boxing gym-turned-polling station, Josh Brown, a firefighter paramedic who describes his politics as “socially liberal and fiscally conservative,” said he voted for Levin because he trusts Democrats to do the right thing on health care. But he did express reservations for more progressive proposals, such as Medicare for All. “I can see the good in it, but I worry that it could end up watering down health care,” he said. 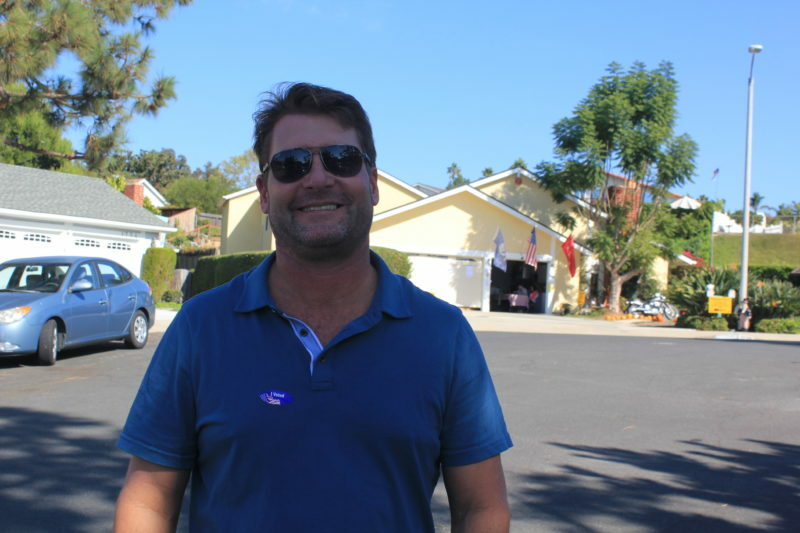 I bounced between polling stations in Encinitas and Carlsbad for more than four hours Tuesday and only a single Republican voter was willing to give me a name or let me take a photograph. One woman said she votes GOP every election, regardless of who’s on the ballot. She said she voted for Matt Hall for Carlsbad mayor simply because of his Republican Party affiliation. But another Republican, Todd Drake, told me he voted for Democrat Cori Schumacher for mayor because she’d championed Measure A in 2016, which killed a luxury shopping mall on the shores of the Agua Hedionda Lagoon. “We need a change,” he said, referring to the leadership at city hall and new development, which is “cutting up” the city. 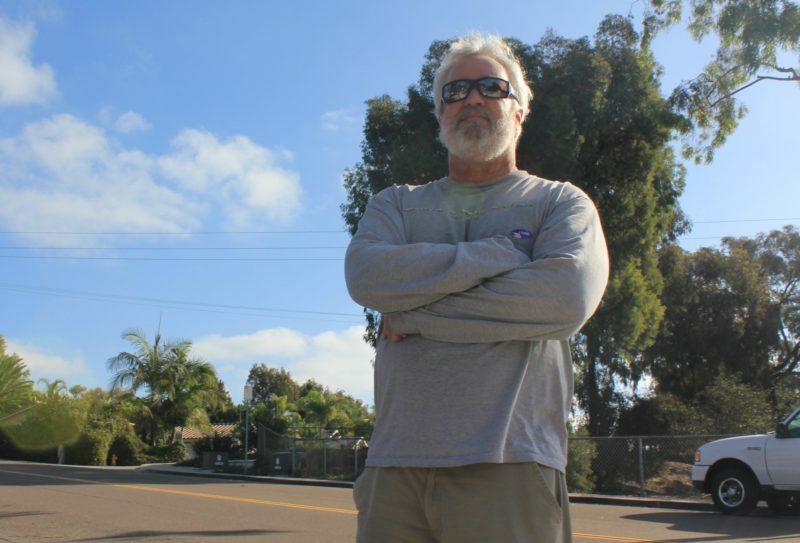 Standing outside the Alga Norte Community Center in Carlsbad, Michael Krival said he believes Hall has done a good job in Carlsbad. “This is the best-run city I’ve ever lived in,” he said. But Hall, Krival felt, crossed a line with his support of the mall project, which was being proposed by Los Angeles developer Rick Caruso. The City Council attempted to push the project through without a complete environmental review, and residents rebelled. The dispute helped propel Schumacher into politics. Krival said he’d be voting for her. A real estate attorney, Krival said he’s worked indirectly with Caruso and he doesn’t like what the developer’s projects have done to some local communities. 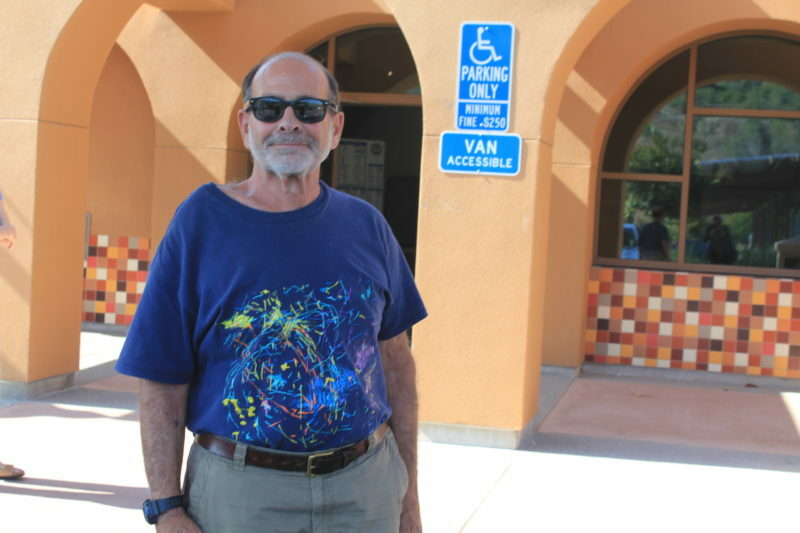 Caruso is more environmentally conscious than most, Krival said, but he also doesn’t have to live with the ramifications of what he builds in other towns.